Designed for shortbed trucks to provide turning clearance and prevent damage to truck and trailer in tight places at low speeds. 11" travel fore & aft, Fits both 15K and 16K models. 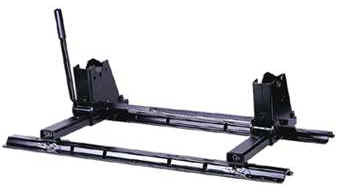 Compatible with Reese base rails, Adjustable with trailer attached. 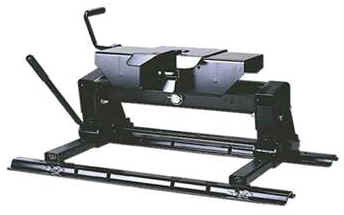 Works with full size or mini trucks. Shown Above with base rails installed.